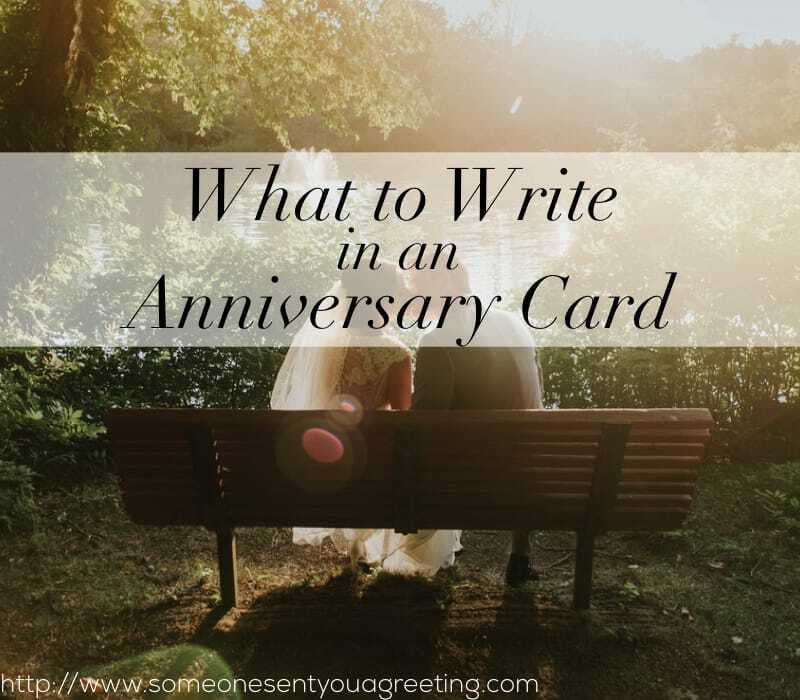 When you send someone or a couple an anniversary card you would usually write a short message or note congratulating them on their big day. 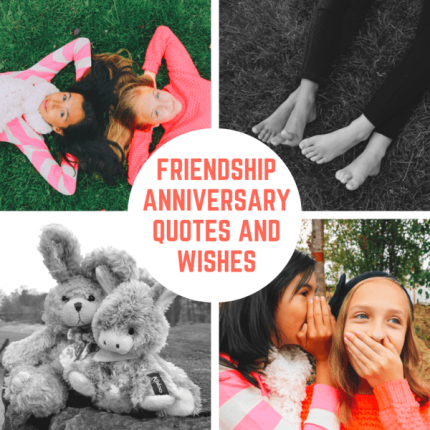 A simple few words that wishes them well and congratulates them on reaching a significant milestone. 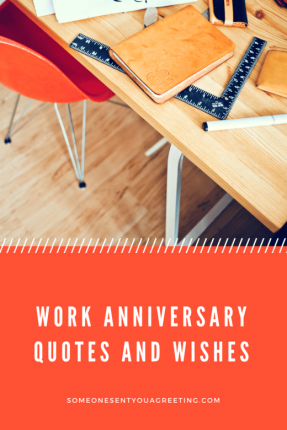 However, there might be occasions when you want to include something more than a basic message. If they are a close relative, family member or your partner then going a bit further on such a special day seems natural. 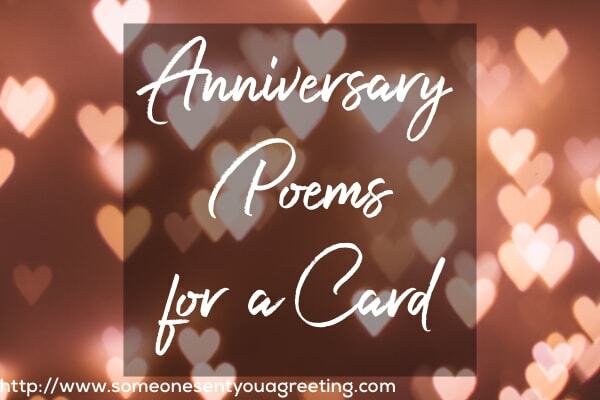 And we think that anniversary poems are a great way to show how much you care, express your feelings in a better way than a quick note would and be a touching way to celebrate an important day. 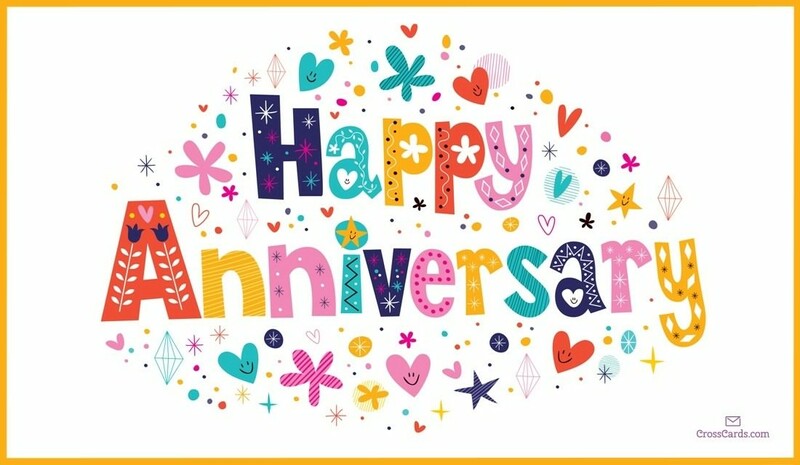 An anniversary is a time for celebration, love and happiness. It represents a commitment and enduring love between two people. When it’s your parent’s anniversary then it’s an even greater occasion. You get the opportunity to celebrate two of the most important people in your life and their lives together. 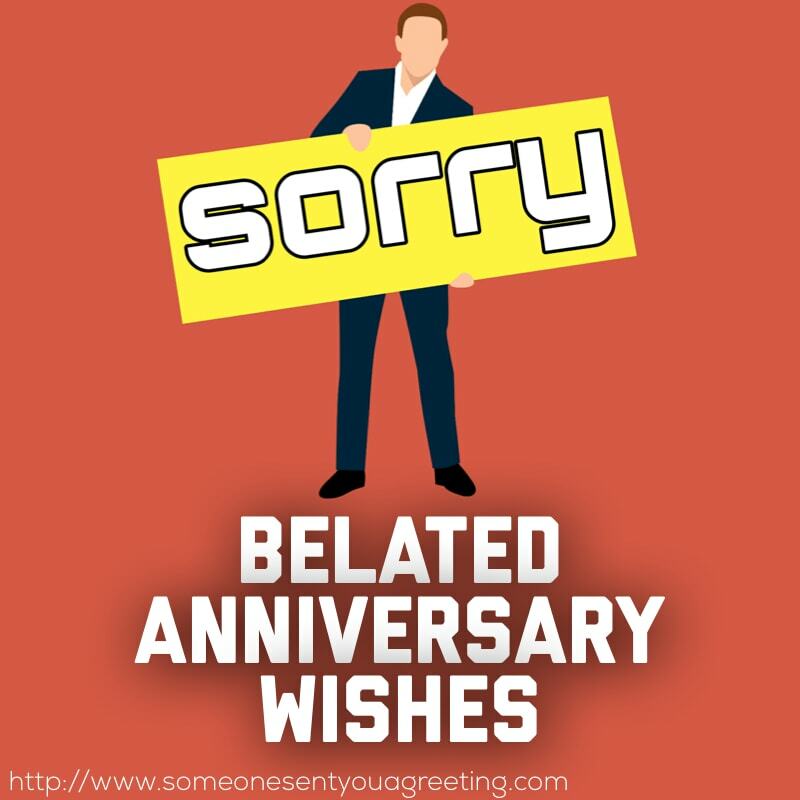 One of the ways you can celebrate it is by getting them an anniversary gift and card. 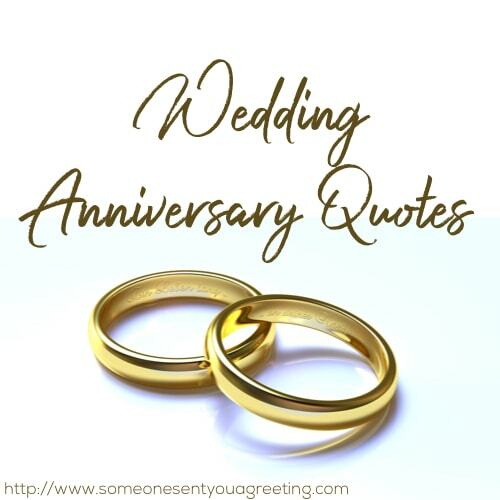 A well thought out present can be a lovely way to commemorate a special day, and with that a card containing a touching or beautiful message wishing them a wonderful anniversary. 50 years of marriage or being together is an amazing milestone to reach. Not many get that far and the commitment it shows is inspiring. 50 years of love, making it through tough times and still having that enduring bond deserves everyone’s respect. An anniversary of this magnitude means you will definitely want to celebrate and send the couple a gift or card. 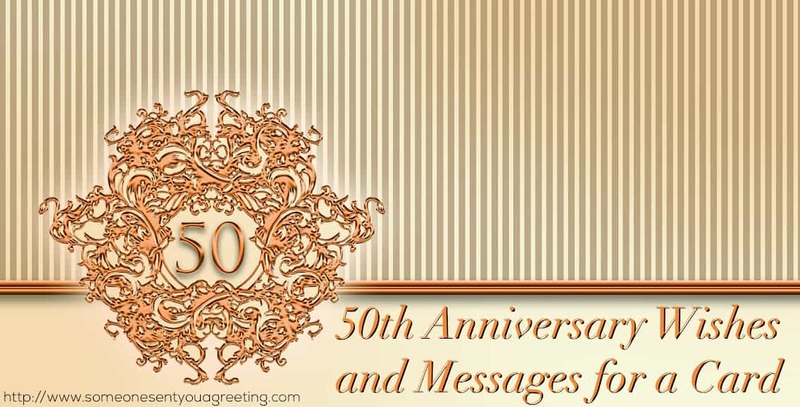 That may not seem like much but some touching or thoughtful 50th anniversary wishes can really add to the occasion. 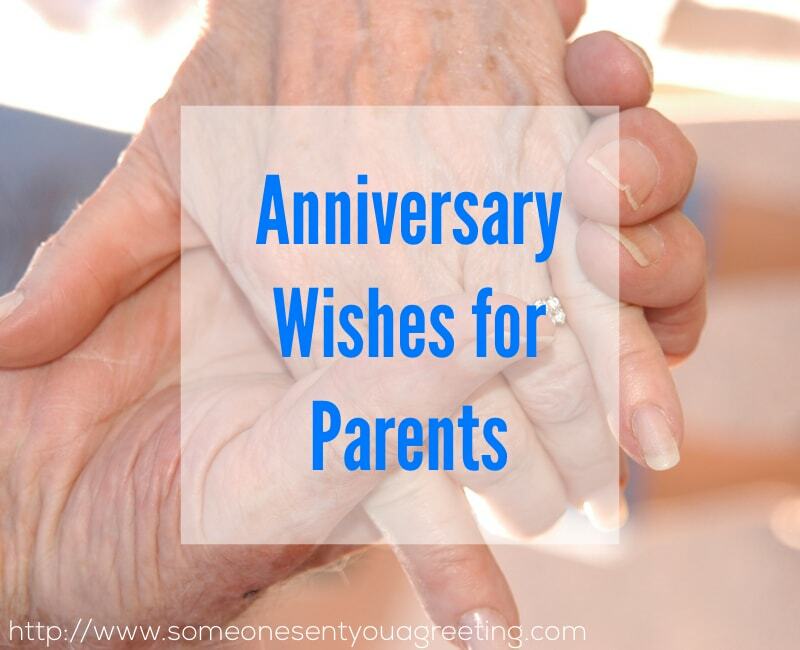 Sharing the celebrations with family and friends, reliving the best times and enjoying a special day is the best way to celebrate a golden anniversary. Celebrating an anniversary, be that your own with your partner or congratulating someone you know, is a fun and happy time. The marking of a milestone in a relationship indicates the love the two people have for one another and celebrates that bond. No matter if it’s the first or 50th anniversary they’re always a cause for celebration. Ooops! You’ve gone and forgotten your anniversary, haven’t you? I don’t need to tell you what a mistake that is! Fear not though as it can still be rescued, albeit with a forgiving partner. The first step to mending fences and building bridges is to give them a card or note containing your apologies. 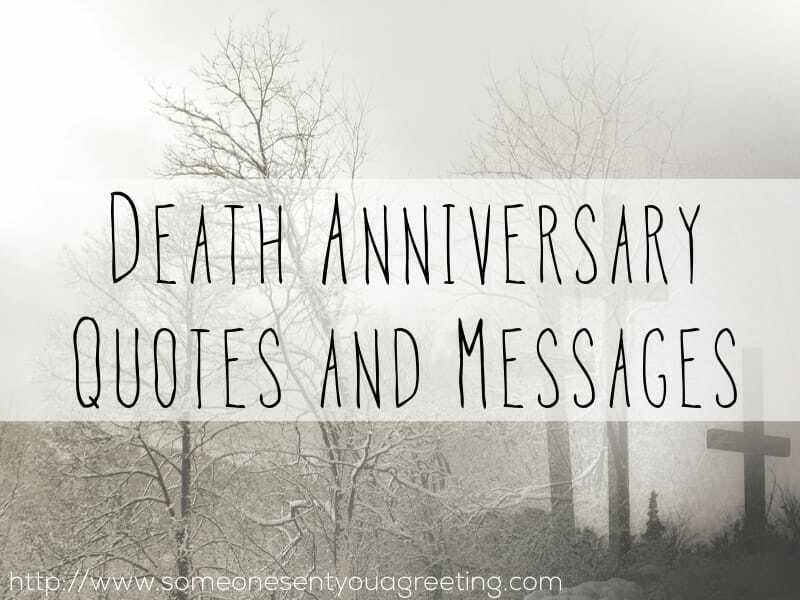 At the same time you should include a belated anniversary message to let them know you still want to celebrate the occasion and acknowledge how big a deal it is. Just an apology for missing it won’t be enough.